The sprints reports show all the sprints in your plan on a per-team basis, its assigned issues and time span. Empty sprints Shows empty sprints as well as sprints that have issues in them. 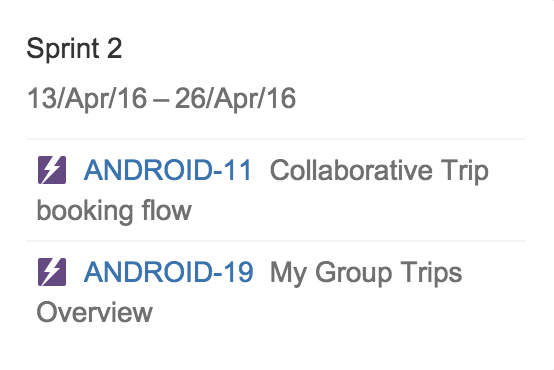 If it's unticked, the empty sprints won't show up. 課題 Tick this option to show sprints' issues be displayed. 課題キー Select it to display the issue's keys in addition to their titles. Click the switch report menu > Sprints.